In our current decade, there aren’t too many new horror franchises that have impressed me, but one that I feel is worth mentioning is that of The Purge. If you’re unfamiliar, it’s set in the not too distant future where all crime is legal for one night each year. Basically, the elected officials see this as a way of keeping the crime rate down – and we’re given the impression that it’s actually working. What allows for this concept to resonate is that it not only produces much in the way of tension, but it also feels very “real,” forcing us to consider if society could ever go to this extreme. Furthermore, it also serves as a social commentary of sorts, with the sequels more so feeling like the proper realization of this idea. Quite surprisingly, the franchise will be spilling over to TV, which I actually find to be a good decision. Personally, I believed a real time format similar to that of 24 would work best, but we learned last year that the small screen spinoff will explore what happens on the other 364 days of the year. Now, if Fiona sounds familiar to you, she should, having previously starred in Curse of Chucky and Cult of Chucky, the latter of which made a strong bid for being my favorite entry into the Child’s Play line of films. Well, there’s that and the fact she’s the daughter of Brad Dourif, the voice of Chucky. 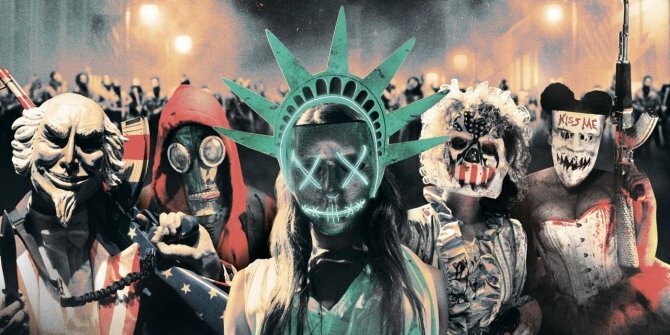 The Purge is set to premiere on both USA and SyFy once it’s ready to air and also stars Gabriel Chavarria, Lili Simmons, Jessica Garza, Amanda Warren, Colin Woodell, Hannah Anderson and Lee Tergesen and William Baldwin.